Since I’m really avoiding packing my car right now I’ll do some good ole blogging. My day started at around midnight this morning…but that is another story left for my twitter. Really it started around 8am. I was going to go for a run before my final-but alas I was too tired and don’t have too much else to do today besides my coaching portfolio and final. For Breakfast today, I actually had a quiche and yogurt. Kelsey asked if I wanted to get breakfast on campus and I thought ya know why not…I haven’t really all semester. I suppose my body was rather confused since I normally have that for lunch but it was nom.com either way. Veggie quiches are my favorite so I was rather pleased. It stopped raining for a hot second so I decided to run for nine miles in the humidity which was nice. I really need a break from the gym right now and couldn’t bare to run on the dreadmill. When I came back from my run, all of my housemates had moved out. So I am all by myself for the next 24 hours. Blech. So I made these pancakes. Nom.com. Sweet potato pancakes are actually my choice of pancakes before any cross country race or swim meet. Don’t ask why because my mind couldn’t tell you…it just demands what it demands. Sweet tater with cranberry jam. Seriously make these now. I actually have a hot dinner date tonight at First Crush tonight with zee bestie. Nomtastic. Oh yes and this is my last Vlog for a while (unless you find them more entertaining then text) But it is my thoughts of America’s Next Top Model Season Finale. That way, my male blogging besties (and females who that isn’t their jive) wouldn’t have to go through an entire post of boredom. 1. Do you enjoy doing Vlogs? For some reason your vlog isn’t showing up for me? But I’m guessing you are super excited for ANTM All Stars — no idea when it starts but I can’t wait! I am so excited! Heck yes! I haven’t watched ANTM in at least 3 weeks! Uh oh. GUESS whaaaaaaaat I’m going to my first team practice today in years so… wish me luck swimming bestie. haha. I might drown. And WHAAAAAat there’s going to be ANTM ALL STARS? I haven’t watched the show in a while butttttt I might have to tune in for that! As soon as I saw that you had a quiche for breakfast I knew that you were either going to have pancakes or waffle for lunch. I’m a fan of the vlogs! I don’t watch ANTM though so I can’t say I understand what you’re saying on this one. Sweet tater pancakes are a fave of mine as well! 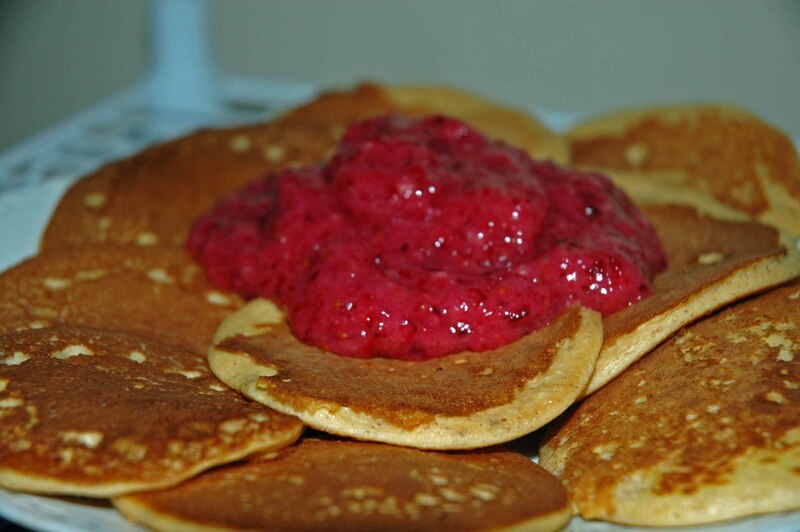 Topping them with cranberry jam sounds amazing…like thanksgiving pancakes!!! YUMaaaay. Ha that is when I had them…over Thanksgiving break! You’re a lot more mellow than I pictured you…haha! Sweet potato pancakes?! sign me up! I love your vlogs! You are so adorable. hahah LOVE this vlog (blogging you haha your funny) I defiantly laughed. i hope you did awesome on your final. And is this rain ever going to stop???? So I’ve always said “vlog” not “v-log”… what are your thoughts? haha i totally have that happen where I can either workout or sleep…sleeping usually wins when I’ve got school that day! 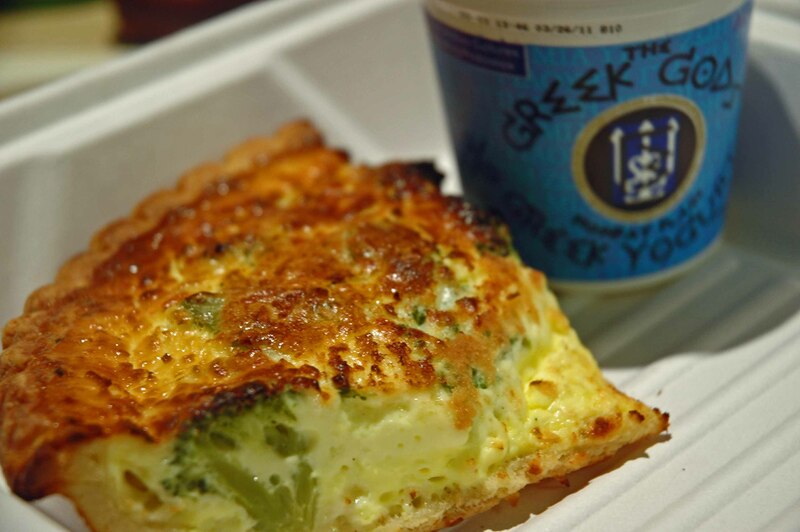 you are seriously making me want quiche SO bad..but theres no place good around here to get a fantastic quiche! I’ll come up to NY and eat yours mhmk?! UUUHHH, how many times have I told you I adore quiche and always salivate whenever I see them all over your blog? You are a cutie pie. Those pancakes look amazing! Haha- I love how much you love ANTM! I never knew you are supposed to call it VEE-Log. I always called it vlog. You could probably be a model, girl! Fitness models probably don’t have to cut their hair. I love having a crust, on savory dishes especially! I’m the one who picks the burnt cheese off the pan after the sandwich comes out from under the broiler. YUM!